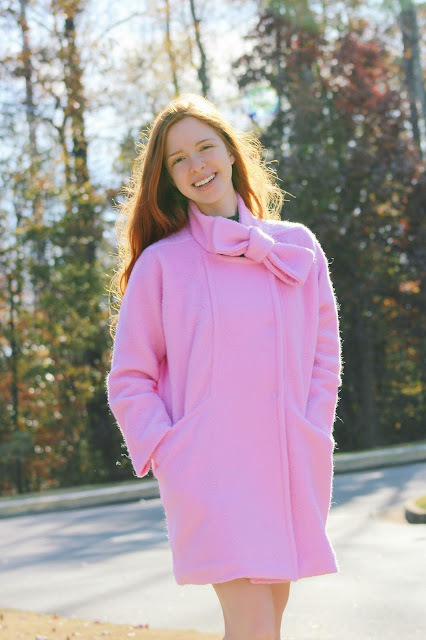 Pink, bows, and even more pink have been my obsessions this Winter! 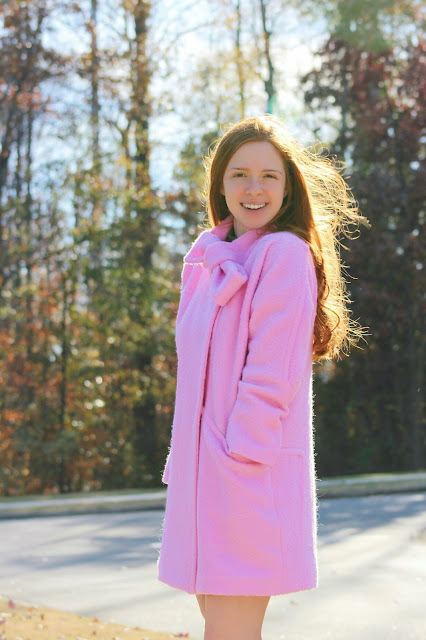 When I found these adorable pink coats, I fell in Love! The one with the bow felt very Jackie O to me and I knew I had to have it! 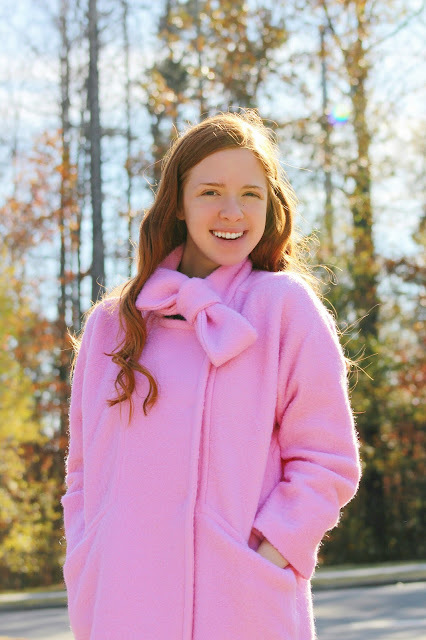 It's so warm and super cute because who doesn't love a good bow? Sorry for the blog hiatus recently. Junior year has been crazy but I have some exciting blog posts coming soon so stayed tuned!